Following the model of its successful Babycakes line of small baking appliances, Select Brands is launching a similar product designed to bake homemade dog treats for the family pet. 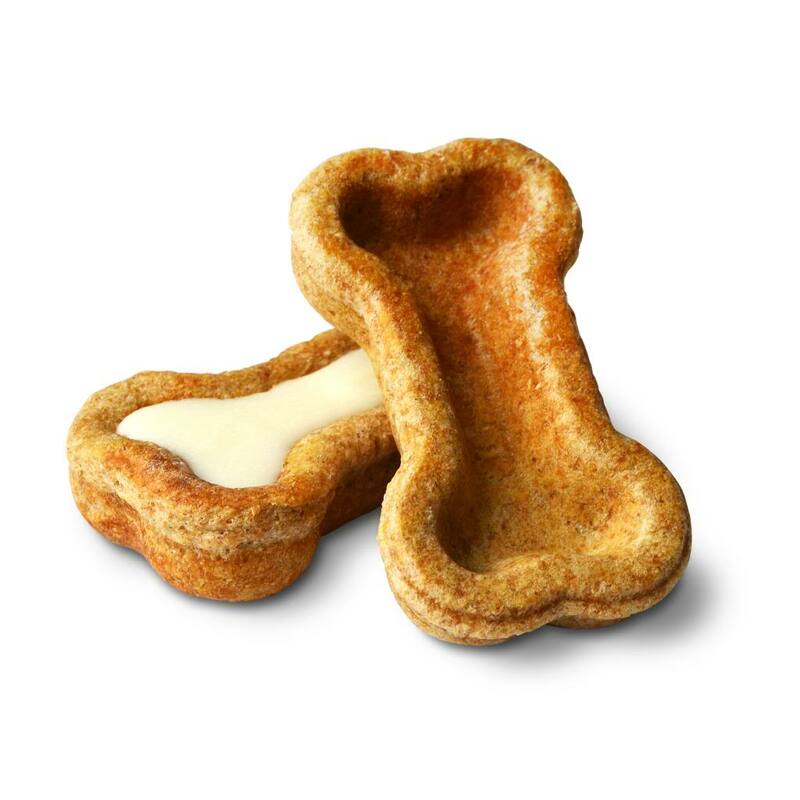 With its bone-shaped reservoirs, the Bow-Wow Bistro bakes ten delicious dog treats in just five minutes, for a quick, easy and healthy snack for Fido, made from scratch! 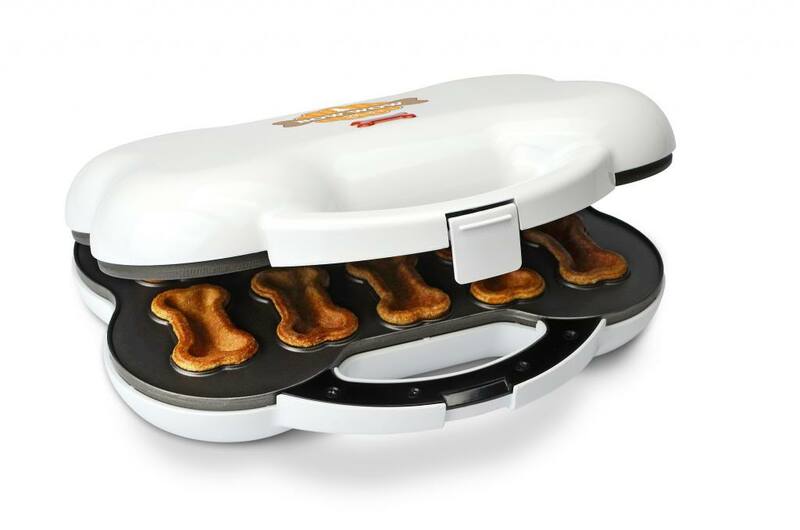 Also included with the Bow-Wow Bistro is a bone-shaped dough cutter to easily create perfect bone-shaped treats every time! To make the baking process even easier, Select Brands also offers four flavors of treat mix (MSRP $10 each) to suit every dog’s taste including peanut butter, bacon, whole wheat and even a veggie option for those vegetarian pups. Each dog treat mix includes its own batch of yogurt “icing” for an extra layer of flavor. The Bow-Wow Bistro retails for only $24.99, and is available at Carson’s Department Stores and online atwww.Carsons.com, and coming soon to www.SelectBrands.com! To learn more about the Bow-Wow Bistro or to purchase, please visit www.SelectBrands.com. Media inquiries, please contact Stephen Miller at Stephen@AvalonPRGroup.com or (512) 382-6328. Today Blue Dog Bakery launched year two of Pet Treat Pantry, a partnership between the Seattle-based all natural dog treat company and select food banks in Washington, Oregon, Arizona, North Carolina and New Jersey. The partnership provides healthy treats to the canine friends of food bank clients. One in six American families receives assistance from their local food bank, and when finances are tight healthy dog treats are not a priority. Last year, Blue Dog Bakery saw an opportunity to expand their donation program by introducing Pet Treat Pantry. Pet Treat Pantry invites consumers to purchase a specially marked box of Blue Dog Bakery dog treats and register their donation online using the code found on the box. Blue Dog Bakery is very excited to launch the second year of what they hope to be an annual program. Over the past five years Blue Dog Bakery has donated dog treats to more than 800 organizations, events and fundraisers dedicated to helping dogs all over the country with their “Say Yes” policy. The Pet Treat Pantry builds on the company’s long-standing tradition of community giving and engagement. To kick off the 2013 Pet Treat Pantry, Blue Dog Bakery has already donated 3,768 pounds of Blue Dog Bakery treats to five participating food banks across the country. Over the next four months, shoppers and dog-lovers have the opportunity to help donate 20,000 more boxes – because when you buy a box, you give a box. Specially marked boxes of Blue Dog Bakery treats can be found at national grocery retailers. To learn more about Pet Treat Pantry, where you can purchase Blue Dog Bakery treats, or direct your donation, visit www.bluedogbakery.com. Headquartered in Seattle, WA, Blue Dog Bakery was founded in 1998. As the first all natural dog treat in the mass grocery market it is the nation’s top selling natural dog treat brand. Blue Dog Bakery will never waiver from its commitment to using only all natural ingredients in each dog treat it brings to market – made in the U.S.A. with no animal by-products, no artificial flavors or artificial colors, and no artificial preservatives. As Blue Dog Bakery has grown, it has remained devoted to making healthy, all natural treats for dogs, because a long and happy life goes paw-in-paw with good nutrition. Blue Dog Bakery uses only the highest quality bakery ingredients such as whole eggs, nonfat milk and whole wheat – making them easily digestible, full of fiber and protein and good for an overall balanced diet. For more information, please visit www.bluedogbakery.com. Milwaukee Pet Services, a Milwaukee-area professional pet sitting and dog walking company, has expanded its services and offerings to now include untimed vacation visits and webcam rentals for its clients. These services are unique to Milwaukee Pet Services and are not being offered by any other pet service providers in the Milwaukee area. The company’s new initiatives strengthen its mission of providing peace of mind for pet owners while away from their pets. Milwaukee Pet Services’ untimed vacation visits involve clients paying a flat rate fee versus being charged based on the length of the visit. The standard visit used by other pet sitting companies in the Milwaukee market is 30 minutes, which doesn’t always account for all of the emotional and physical needs of the pet. ABOUT MILWAUKEE PET SERVICES Milwaukee Pet Services provides professional pet sitting and dog walking services in the greater Milwaukee area within the comfort of its clients’ homes. Its team of highly trained professionals provide quality care backed by experience in pet behavior, pet health, and pet first aid. Founded in 2011, the company has already received high honors and was the Milwaukee A-List’s second place winner for Best Pet Sitting Company in 2012. For more information and a list of pet services, visit www.milwaukeepetservices.com or find them on Facebook at: facebook.com/milwaukeepetservices. This young wizard is full of enthusiasm! He is a busy little man with lots of curiosity and energy. Potter is a 6-year-old Pomeranian mix. 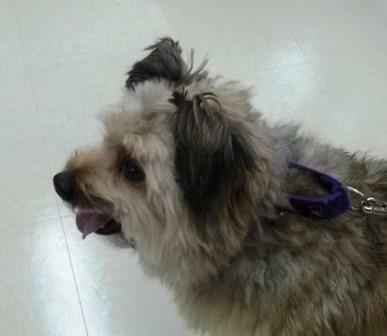 He’s made friends with both dogs and cats while at HAWS, but can be a little shy around people. He’ll get to know you on his terms, so his new family will need to be ready and patient while he settles in. Maybe you’d like to explore Hogwarts together? We know our “hairy” Potter will cast a spell on you! The U.S. 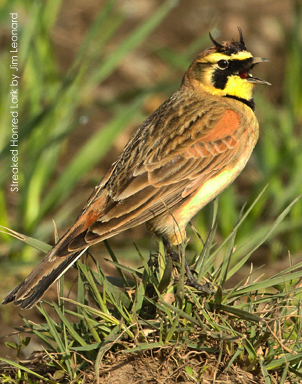 Fish and Wildlife Service (FWS) yesterday finalized designation of the Streaked Horned Lark as Threatened, pursuant to the Endangered Species Act (ESA). American Bird Conservancy (ABC), a leading bird conservation group, called the action an important, but insufficient, first step. ABC expressed concern that the Final Rule exempts habitat for approximately half the lark’s population, which occurs on agricultural land, under that Act’s “4(d)” Rule. Additionally, it designates only 4,629 acres of land in western Oregon and Washington as Critical Habitat—as compared to the 12,159 acres of Critical Habitat designated in the original Proposed Rule on Oct. 11, 2012. The Oct. 2012 proposal to list the Streaked Horned Lark noted that the prairies of South Puget Sound and western Oregon historically favored by the bird are part of one of the rarest ecosystems in the United States, with a 90–95 percent reduction over the past century. The Streaked Horned Lark is a distinctive and highly restricted subspecies of the more widespread Horned Lark. Its range is contracting from both the north and the south and has already been extirpated as a breeding species throughout much of its range. Small remaining populations in South Puget Sound and along the southern Washington coast are declining precipitously, in some places at rates as high as 40 percent per year, raisingconcerns about extinction in the near future. In the Willamette Valley, Breeding Bird Survey data indicate the population of larks is declining at a rate of approximately five percent per year. Only between 1,100 and 1,600 Streaked Horned Larks are left on the planet. Factors causing declines include reduced prairie habitat quality and nest failure due to agricultural practices such as mowing and spraying. Predation is also a major cause of mortality among adults and juveniles, especially by mammals closely associated with rural residential areas such as striped skunks, raccoons, feral and domestic cats, and dogs. For more information about Dylan Kendall and the Efeet Collection, please visit www.dylankendall.com . Dylan Kendall proves functionality and fun go hand-in-hand with whimsical and affordable home décor and dishware. By focusing on home accessories and tabletop ware, staples of every home, and infusing their functional aspects with whimsical qualities, her products bring joy and playfulness to any home where her designs are found. Boat Club Road Animal Hospital in Ft. Worth, TX announced that the veterinary hospital will be hosting an Open House on Sunday, October 13th. The Fall Harvest-themed Open House will focus on preventative wellness care in dogs and cats. Family-oriented fall activities include bobbing for apples, canine costume contest, face painting, bounce house, pet portraits, a canine demonstration and free food. The vet hospital’s veterinary care team will be on hand to answer questions about wellness care — including pet vaccinations, dental cleaning/tooth brushing, and the importance of annual health screenings. The open house will be held from noon to 3:00pm. The Canine Costume Contest will take place at 1:30 p.m. and pet owners are also invited to dress up for the contest! There will be three categories: Best Dressed, Most Original and Best Pet/ Owner Combo. The veterinary hospital will also be hosting an adoption event in conjunction with the Open House. The Ft. Worth veterinary care team has more than four decades of accumulated experience providing veterinary care for dogs and cats. Boat Club Road Animal Hospital provides full-service veterinary care, including pet vaccinations, wellness screenings, on-site lab work and diagnostics, and animal dental care. To learn more about the upcoming Open House or the wellness services available at Boat Club Road Animal Hospital, visit the website at www.bcrah.com.